These fully furnished office space is ideal for up to 10 people and is strategically located in a modern office building in central Ipswich. There are meeting room and conference facilities available and rent is a simple, all-inclusive monthly charge. Based in the heart of Ipswich, this centre benefits from a range of great amenities, close proximity to Ipswich town centre and excellent transport links. The centre has undergone a major refurbishment and now boasts a high quality finish, with the grand entrance of the building a particular highlight. Tenants will benefit from lots of breakout space and a fantastic onsite management team. Ipswich train station is just a 20-minute walk. Just a five-minute drive from the A14, this centre was fully refurbished in 2002, and provides four floors of serviced office space as well as a number of training and conference rooms. Available office space starts at 19.3m². 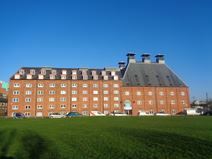 The space is within walking distance of Ipswich Railway Station, running services to London Liverpool Street and also to Norwich. Places to eat, drink and relax can be found in the town centre. 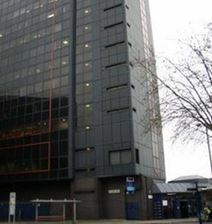 Office space and car parking are available at this imposing building in the heart of Ipswich. Located close to town centre shopping and approximately half a mile from the train station. All major road networks in and out of Ipswich are easily accessible. Offices of varying sizes, workshops, studios and meeting rooms are available in this newly built business centre in the Ransomes Europark. The centre features state-of-the-art IT and telecommunications infrastructure, round the clock access and ample parking. Nearby amenities include a leisure centre, superstores and hotels. The park is adjacent to the A14 and a frequent bus service runs to Ipswich town centre. Office space available in a Grade II listed building with 24 hour access. A fully professional on-site team can provide a comprehensive secretarial and reception service. The meeting room is a particularly attractive feature. There is a patrolled car park and easy access to the A14. Situated in the centre of Ipswich, very close to the bus station. A 16th Century Grade II listed building in the centre of Ipswich with various sized offices, meeting room and round the clock access. Secretarial and reception services are available. Christchurch Park and the bus station are a short walk away. The A14 is easily accessible, and there is patrolled parking. 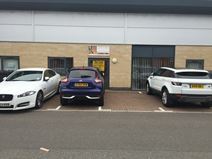 New business park premises offering open plan office space with glass partitions and laminated floors. Other features include meeting and kitchen areas, on-site parking and electronic security entrance system. The landscaped business park is adjacent to Felixstowe container port, and convenient for the ferry terminal, train station and A14. A modern self contained 900 sq. ft. ground floor office within a prominent position in a very popular office village in East Ipswich. Offices here come with their own parking spaces, entrance and company signage, and have good access to a range of local amenities. Ipswich town centre contains further amenities and attractions, and the railway station offers links to London Kings Cross and the nearby city of Norwich.